Of all the non-traditional job descriptions I can think of, Chris Hinsperger’s stands out. Here’s a guy who works in a cave, by a waterfall, in the middle of the Ottawa Valley. He’s been doing it since he was a kid working a summer job for the last guy who worked in the same caves. In 1955 Tom Woodward lowered himself at the end of a rope into the cold darkness of an underground river near the Fourth Chute on the Bonnechere. For over 10,000 years the cracks in the limestone bedrock have been eroded by water and expanded into caves and tunnels underground. It was Mr. Woodward’s unusual brainstorm to drain the caves and open them up to the curious and intrepid. 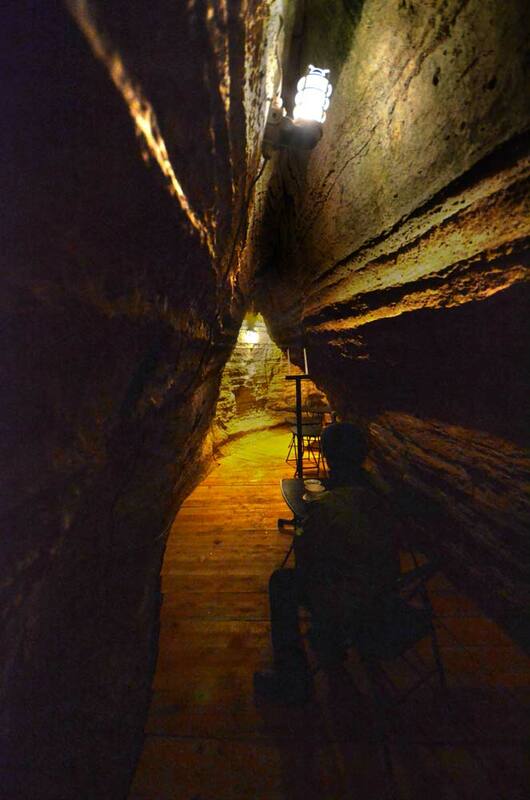 A unique new tourist business was born and it was here that Chris spent a decade of summers guiding visitors through the subterranean passages and generally clambering about the place. 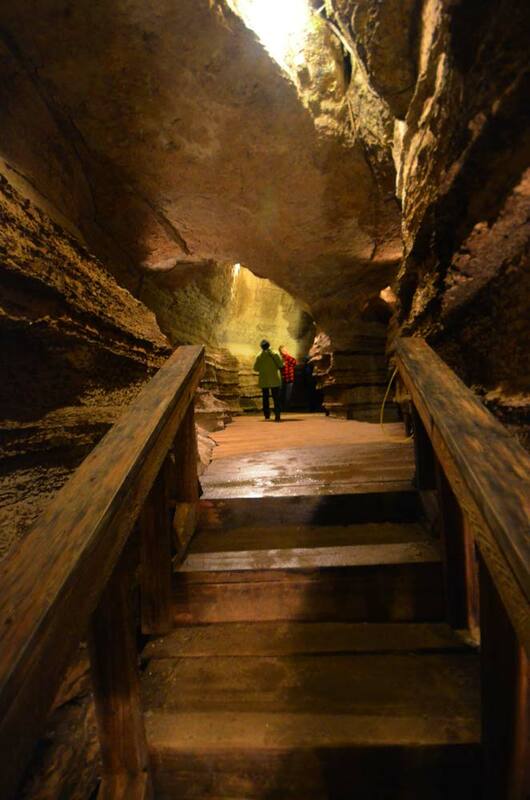 The Bonnechere Caves are today one of the must-see stops on any tour of the Ottawa Valley. 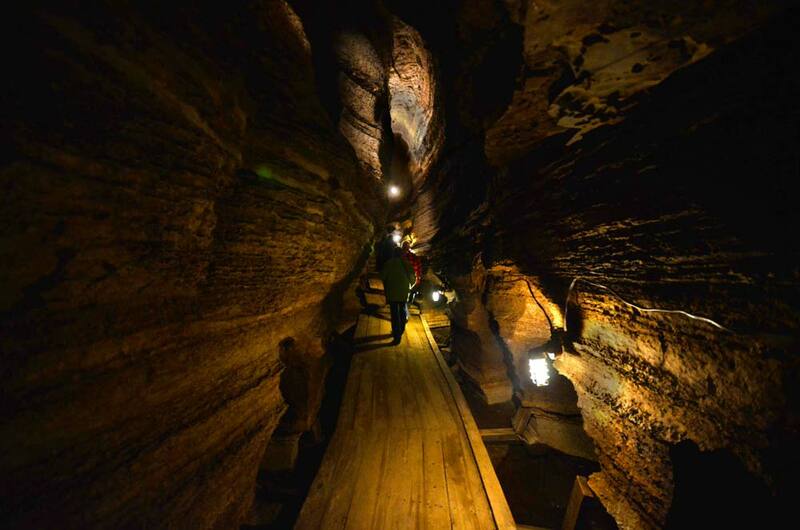 Electric lights and dry, elevated boardwalks make access to the caves really easy and clean for the casual spelunker. The passages do not feel confining or spooky in any way but there is definitely an other-worldliness about the place. Dripping stalactites and moist walls set the imagination reeling in a fantasy, Harry Potter kinda way. A couple of times a year there is an elaborate, catered feast for special guests complete with white tablecloths, candles and live music. Chris the protégé carries on the work of explaining and interpreting the local geology and its effect on the people who settled nearby. When you call, ask for the caveman. They’ll know who you mean. Regular tours go every 20-30 minutes and take about an hour. 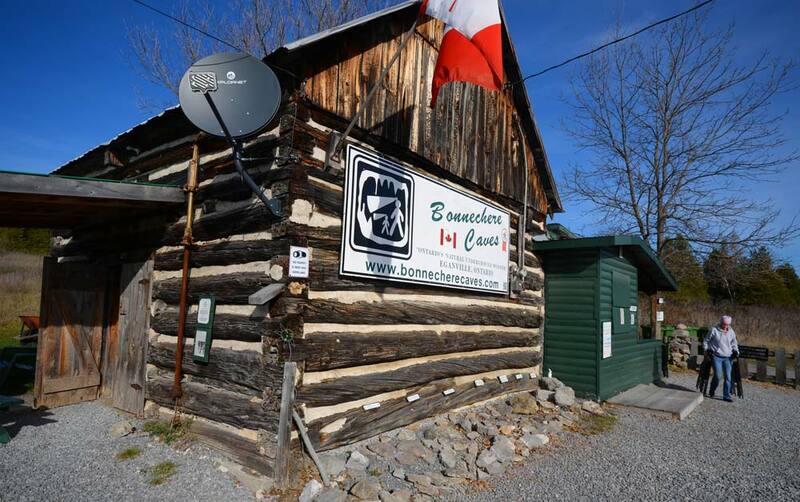 The Bonnechere Caves are open from the May long weekend until after Canadian Thanksgiving, at which point Chris will shut off the big pumps that keep out the water and the caves will return to the way Tom Woodward found them all those years ago.